Welcome to Lesson 6 ‘Technology Consideration’ which is a part of the ITIL Intermediate CSI Certification Course. This chapter deals with details about the Technology Consideration in continual service improvement, covering the managerial and supervisory aspects. Let us go ahead and learn more about Technology Consideration in continual service improvement. Gain knowledge, interpretation, and analysis of Improvement principles, techniques, and relationships, and their application to ensure Continual service improvement. Let us go ahead and learn about the tools to Support CSI Activities in the next section. 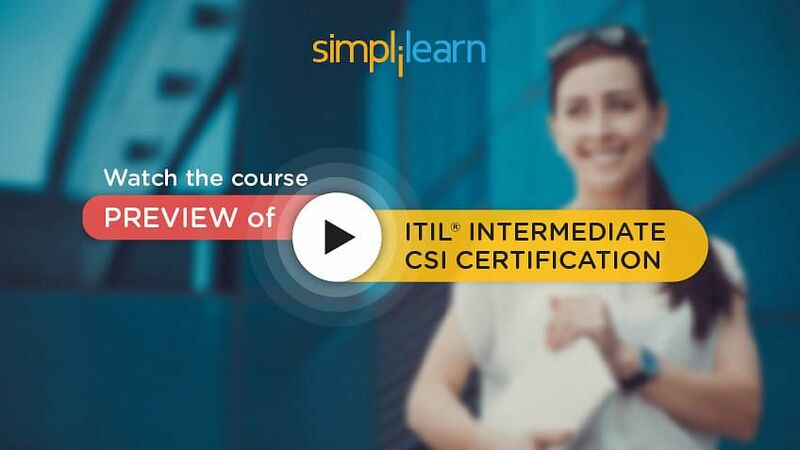 Looking to learn more about ITIL Intermediate CSI? Enroll in our ITIL CSI Course today! Let us start with learning the tools to Support CSI Activities. Let us see what these tools are. As part of the assessment of ‘Where do we want to be?’ the requirements for enhancing tools need to be addressed and documented. These requirements vary depending on both the process and technology maturity. A technology specifically means systems and service management tests used for both monitoring and controlling the systems and infrastructure components and for managing process-based workflows, such as Incident Management. 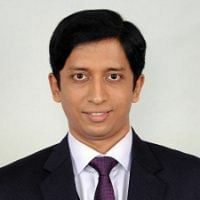 There are many tools that support the core ITSM processes and others that support IT governance as a whole which will require integration with the ITSM tools. Information from both of these toolsets typically needs to be combined, collated and analyzed collectively to provide the overall business intelligence required to effectively improve the overall IT service provision. We will be learning each tool in later sections. Let us start with learning the IT service management suites. The success of ITIL within the industry has encouraged software vendors to provide tools and suites of tools that are very compatible with the ITIL process framework providing significant levels of integration between the processes and their associated record types. Problems are defined with integrated links to the associated incidents that confirmed their existence. 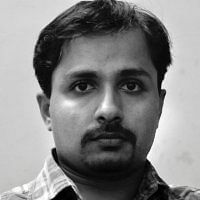 Using the configuration data from the CMS to understand the relationships, Problem Management now has a source of related data to enable the Root Cause Analysis process including change and Release history of the affected CI or service. Changes are often the first area of investigation following a service failure, again using the integration capabilities of the ITSM tool suite. It can be easier to trace the changes that have been made to a service or a CI. The Change Schedule and projected service availability can be automated using calendaring capabilities to ensure visibility of changes and calculated impacts to the Service Level Agreements. Recent improvements in the ITSM tools now allow for automated risk assessment and prioritization of changes, highlighting potential conflicts and reducing the administrative overhead for the Change Advisory Board. The ability to coordinate Releases and manage the contents of these Releases are also more mature with native support for the definitive libraries and key integration points to the CMS and to specialized version control software packages. Functionality typically includes support for Release records that consolidate and contain Release contents enabling the attachment of related objects and documents pertaining to the Release. Integration is normally provided to enable hyperlinking to the associated Change records that are part of a Release and the related Incident, Problem or Service Request records that were the catalyst for the original RFC. Service Level Management functionality is also well supported within the ITSM tool suites of today enabling the linkage of incidents, problems, changes and releases to associated Service Level Management records such as SLAs, OLAs, and UCs. Most tool suites support automated SLAM charts (Service Level Agreement Monitoring) highlighting which agreements are within tolerance, are threatened or have been broken. Reporting is one of the key benefits of an integrated ITSM suite with the ability to provide management information in a common format utilizing the combined data from all operational areas of the Service Lifecycle. This is of significant benefit enabling analysis of the relationships between service management events (e.g. Incidents that result in problems, changes that cause incidents, releases that encapsulate certain changes) and all of the associated performance metric data that will feed the overall CSI initiatives. Let us now move on to our next section which explains the Systems and network management. Systems and network management Tools are typically specific to the technology platforms that are under management and are used to administer the various domains but can provide a wide variety of data in support of the service management mission. These tools generate error messages for event management and correlation that ultimately feed the Incident Management and Availability Management processes. Utilization data from these platforms is the prime source for Capacity and Performance Management and the most accurate method for establishing the true availability of components that will support improvements in the area of MTRS (that is Mean time to Restore Service) and MTBF (Mean time between failure). Many of these tools also support technology proprietary methods for software deployment within their domains (e.g. Release of patches, pushing of firmware upgrades to remote components on the network) and, as such, can provide metric data in support of CSI for Change and Release management and dynamic updates to the CMS. Utilization data from these platforms is the prime source for Capacity and Performance Management and the most accurate method for establishing the true availability of components that will support improvements in the area of MTRS and MTBF. As the dynamic, real-time view of the current state of the service delivery chain, this information can be integrated with the known service dependencies within the CMS to give enhanced visibility into the service provider to the end-user. Let us now move on to our next section which explains the Event management. Events are status messages that are generated from systems, network and application management platforms. These events are created when one of the above tools senses a threshold has been met or an error condition is discovered. The major issue with this capability is the significant volume of messages that are created by both the actual event and the up- and down-stream impact which can make it difficult to determine the real issue. The specialized event management software can perform event correlation, impact analysis and root cause analysis to separate out these false-positive messages. Events are captured and assessed by rules-based, model-based and policy-based correlation technologies that can interpret a series of events and derive, isolate and report on the true cause and impact. These technologies support the CSI mission by providing information regarding availability impacts and performance thresholds that have been exceeded related to capacity or utilization. Let us now move on to our next section which explains the Automated incident/problem resolution. There are many products in the marketplace that support the automation of the traditional manual, labor-intensive and error-prone process of the incident and problem discovery and resolution. By utilizing data from proactive detection monitors, any component or service outage generates an alert that automatically triggers diagnosis and repair procedures. These procedures then identify the root cause and resolve the issue using pre-programmed and scripted self-healing techniques reducing the MTRS of many common causes of incidents and in some cases preventing service outages completely. These tools also document audit-related information within the incident or problem record for future analysis and identification of other potential proactive CSI opportunities. Let us now move on to our next section which explains the Statistical analysis tools. Most of the tools that are available to support the service management and systems management environments provide reporting capabilities but this is typically not enough to support robust Availability and Capacity Management capabilities. Raw data from many of the above tools need to be captured into a single repository for collective analysis. These are the data that will provide input to the Availability and Capacity processes and support the analysis of MTRS, MTBFs, SFA, Demand Management, workload analysis, service modeling, application sizing and their related opportunities for improvement. This type of software provides the functionality to logically group data, model current services and enable predictive models to support future service growth utilizing a wide array of analysis techniques. Let us now move on to our next section which explains the Project and portfolio management. These tools support the registration, decision support, costing, resource management, portfolio visibility and project management of new business functionality and the services and systems that underpin them. These tools are typically used to manage the business-related aspects of IT. the TCO of portfolio and resource utilization data to Financial Management, request management linkage to ITSM etc. This tool is typically utilized to underpin the Management Board approval process related to strategic or major change projects. Let us now move on to our next section which explains the Financial Management tools. Financial Management is a critical component of the IT services mission to ensure that there are enough financial resources to maintain and develop the IT infrastructure and professional capabilities in support of the current and future needs of the business. A balanced budget in IT through the recovery of IT costs, with a solid understanding of the fiscal aspects of their operations will enable IT executives to justify their expenses in terms of the business services being supported. Financial Management tools collect raw metering data from a variety of sources including operating systems, databases, middleware and applications associating this usage to users of services from specific departments. Data collectors gather critical usage metrics for each of the technologies being measured, links in the costing information from accounting software and then reports, analyses and allocates costs, enabling customers to evaluate the information in many dimensions. Let us now move on to our next section which explains the Business intelligence/reporting tools. You too can join the high earners’ club? Enroll in our ITIL Intermediate CSI Course and earn more today. In addition to the statistical analysis environment that requires a toolset to support technical data, there is also a need for a common repository of all service information and business-related data. Often these tools are provided by the same vendors who support the statistical analysis software but the focus in this instance is on providing business-related data from all of the above tool sets representing a guide to direct the activities of IT as a whole in support of the business customer. As the technology used to deliver IT services become increasingly complex, the distribution of services expands and the amount of centralized control we can apply is diminished, there will be a growing reliance on tools and software functionality to administer, manage, improve and ensure overall governance of IT service provision. As stated earlier, the best-practice process should determine what support functionality is required but we can be assured that the software industry will continue to develop a wide and varied set of tools that can reduce the administrative overhead of managing our processes and improve the overall quality of IT service provision. The next lesson talks about Implementing Continual Service Improvement.